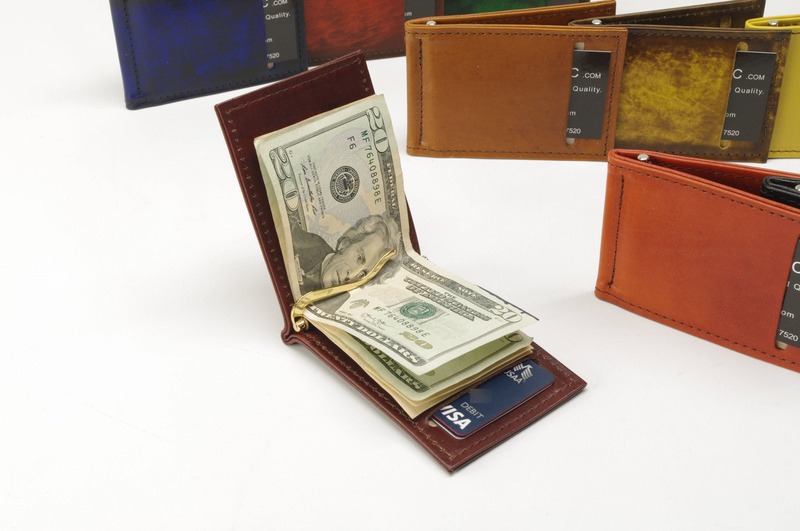 This Leather Money Clip Card Wallet is a decidedly minimalist front pocket wallet. 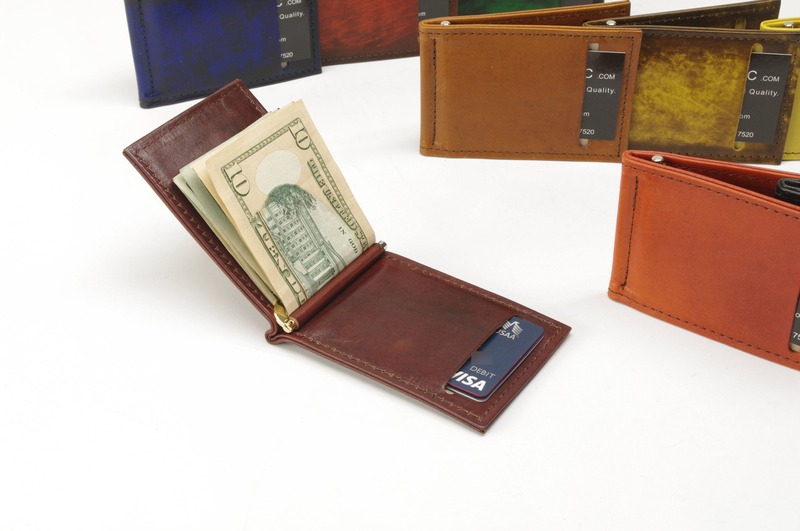 With 2 card pockets and a heavy duty spring loaded money clip, this is one of my favorite wallets. 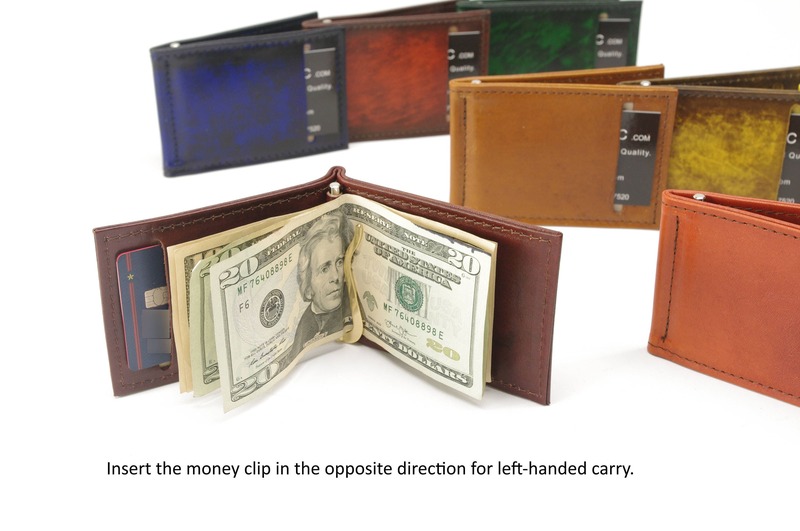 Easily remove the clip and insert it upside down to switch between left and right hand carry. 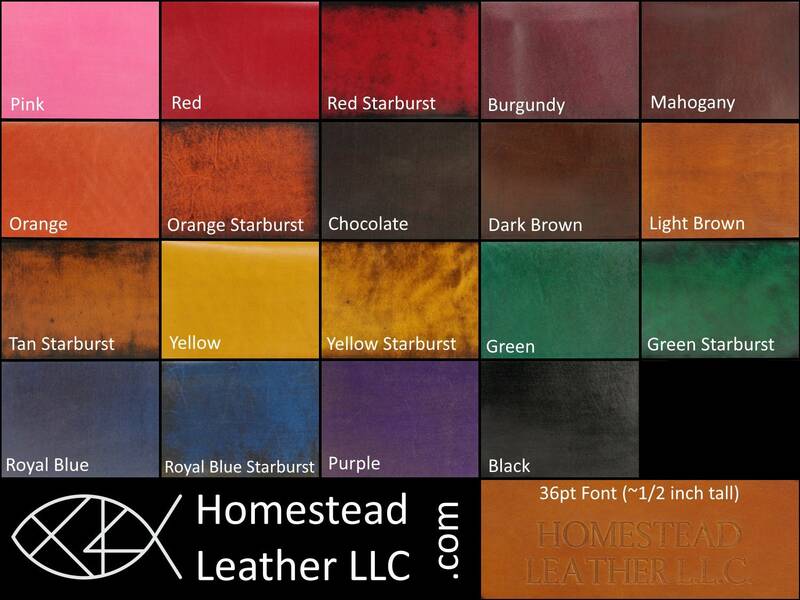 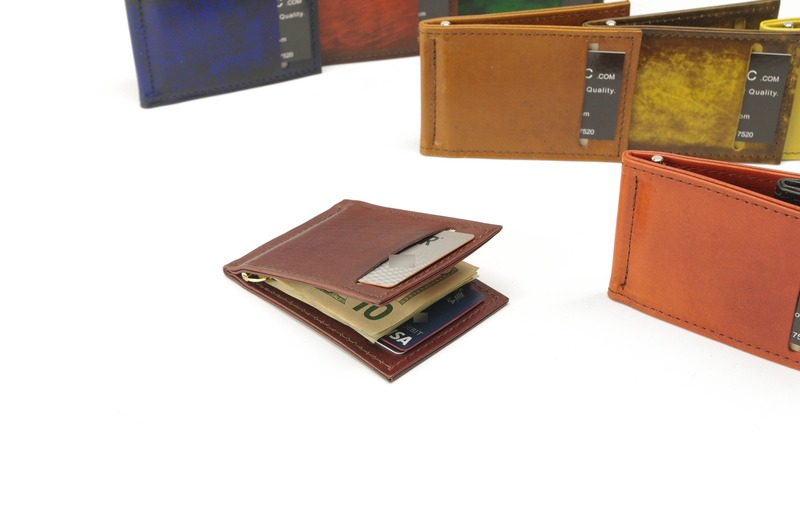 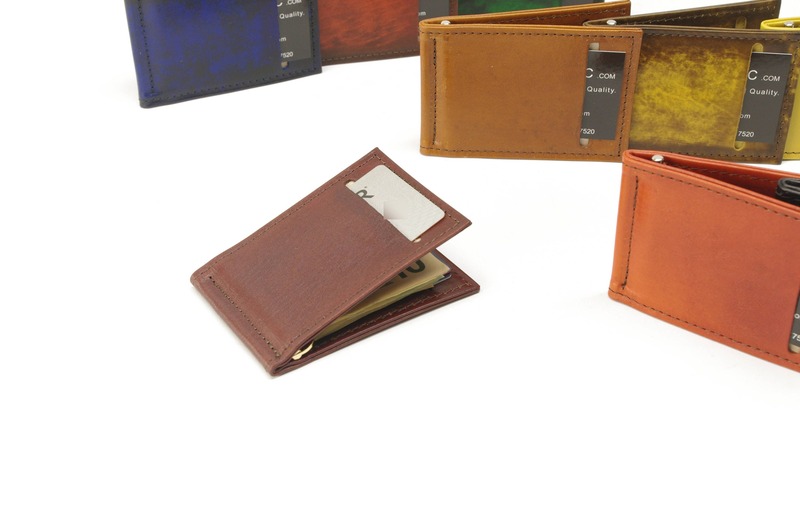 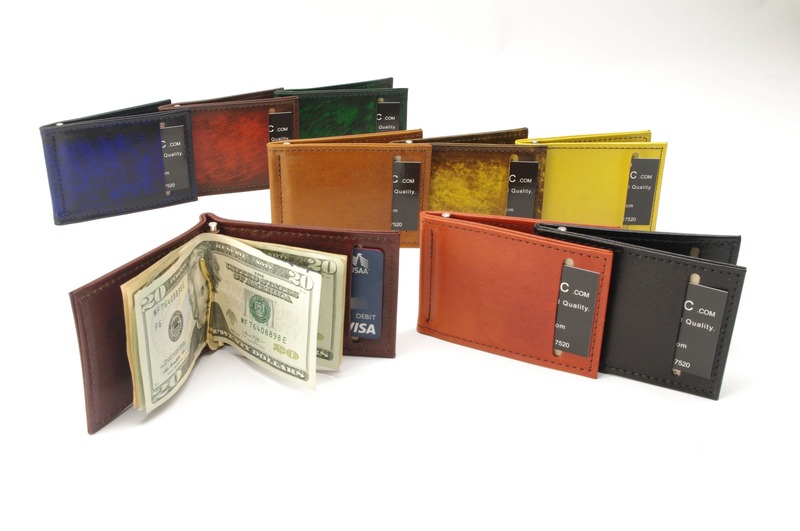 -Designed with 2 card pockets: one on the outside and one on the inside.